Australia's NBN Co has completed a trial of a one Terabit per second (Tbps) super-channel over a 1,066 km fibre optic ring in South East Queensland, Australia using Coriant's innovative FlexiGrid technology on the NBNCo Transit Network, which is a wholesale, open access network. 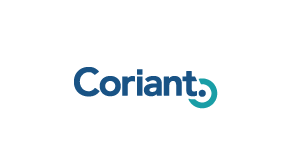 Coriant said this trial demonstrated a Tbps super-channel transmission in a 369GHz grid over 1,066 km. It showed a greater than 35 percent improvement in spectral efficiency which significantly increases the capacity of the system. The trial also demonstrated the flexible allocation of the super-channel by placing it in three separate locations within the c-band which maximizes use of existing fibre resources. This capability, in conjunction with the improvements in spectral efficiency, provides a maximum theoretical transmission capacity of 13 Tbps on existing hardware and fibre over a distance greater than 1,000 km. NBN Co's Transit network is built using established optical fibre made available by third party carriers on long term leases and Dense Wavelength Division Multiplexing Equipment that provides connectivity from the access networks, including fibre and wireless, through to points of interconnect with NBN Co's wholesale customers. The field trial was conducted on NBN Co's network using commercially available hardware and pre-commercial software, over the existing fibre that is currently being integrated into NBN Co's Transit Network. Gary McLaren, NBN Co's Chief Technology Officer said, "We are pleased with the results of the trial with Coriant over our Transit Network. It highlights how established backbone infrastructure can be upgraded with sophisticated optical and electronic equipment to provide extra capacity for the future needs of the National Broadband Network. "This proof point highlights that the existing transit network is robust and capable, as we rollout a mixture of Fibre-to-the-node technologies (FTTx) being designed to provide access to voice and broadband services faster, cheaper and more efficiently to Australian homes and businesses no matter their location across the country. "As high-bandwidth applications and the growth of internet usage drive increased demand for network capacity, the ease of upgrading to higher transmission rates in our Transit Network will enable us to continue to deliver a reliable and high-quality broadband experience for our customers."